Correctly drawing reports on information that matters requires defining the source of data needed and the connection for extrapolating it. Data Source is the repository of information and suggests modes of extrapolating elements to be analysed. 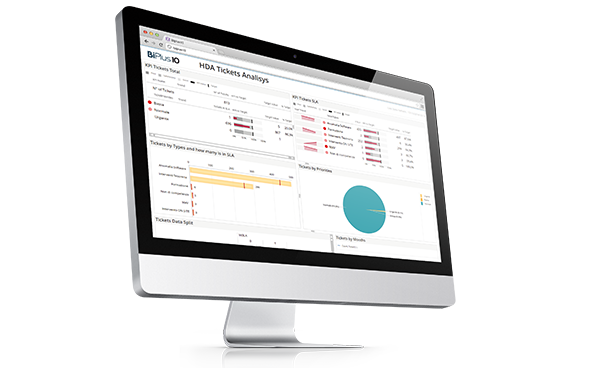 BiPlus defines the Data Source as well as the connections to extract necessary information from the data sources, to create and develop reports, analyses and dashboards on business performance. Using the designated Data Sources, BiPlus displays and graphically represents all the information needed to develop the relevant KPIs, trends, performances and dashboards for measuring specific business processes. Create and develop reports and analyses based on specific, well-defined sources. Determine Data Sources to use for detailed and thorough business performance analysis.